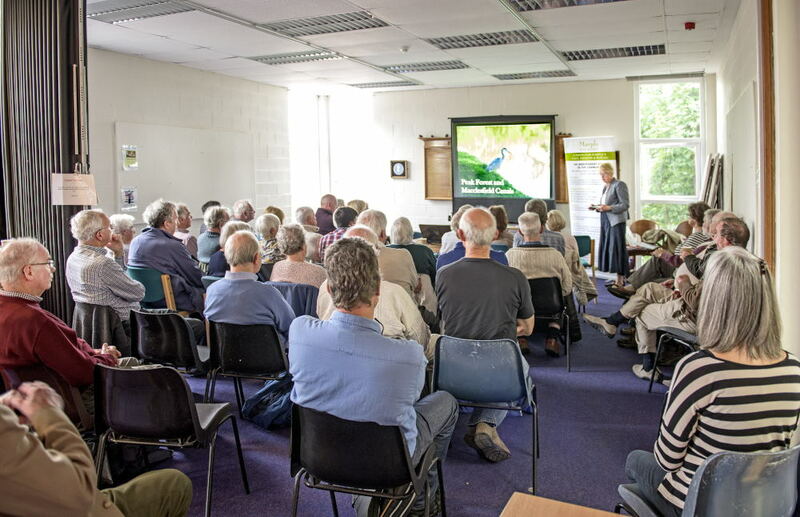 The committee meeting was followed by a talk from Judith Wilshaw, civic society member and local historian, on the Story of the Peak Forest and Macclesfield Canals. The meeting was well attended by society members and members of the public. 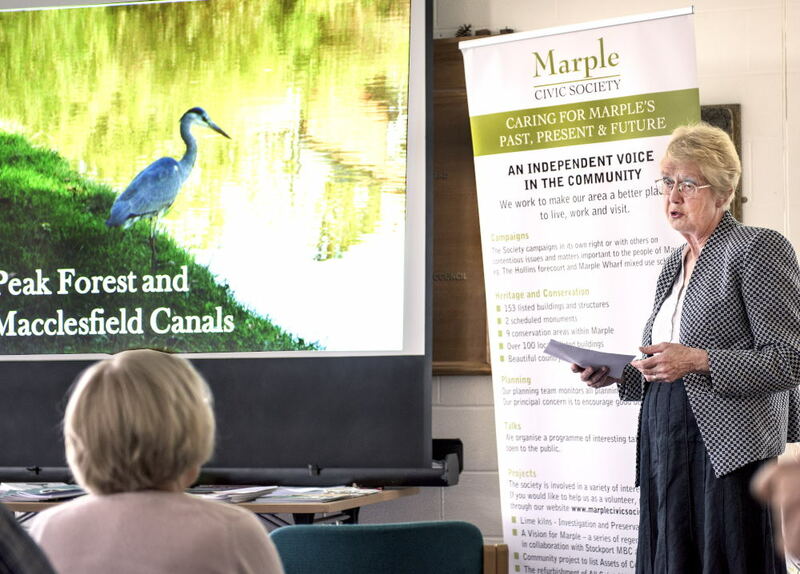 Judith delivered her talk with her usual enthusiasm when talking about Marple canals and local history. Her presentation was much enjoyed and appreciated. 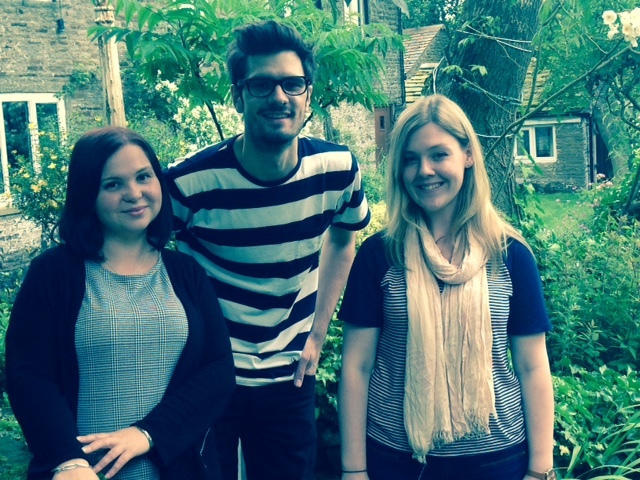 In May 2015 council officers Margaret Myerscough and Aimee Teare introduced two Heritage Lottery Funded Heritage Skills for the Future Trainees, Hayley Du Buisson and Sophie Kembrey, to work with the civic society. Their task was to collate and archive the society's documents dating back to the sixties and to film an oral history with our President, Angus Yeaman. 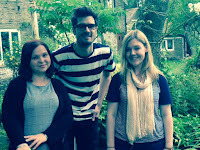 We imediately gelled with Hayley and Sofie, and our matched enthusiasm for the project led to a further meeting to discuss the project in detail and to introduce Angus to the trainees. 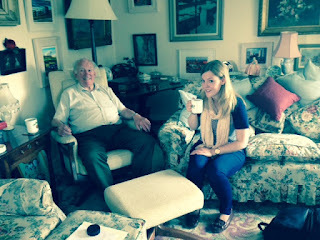 On Friday 24th July, we met at Angus's house to receive the archived material and to film Angus talking about his time with the society which dates back to 1971. Hayley, Sophie and society members Gillian and Alan Postill had worked together to compile a list of questions to steer the interview. We were delighted that Hayley and Sophie were able to call on the professional help of their friend Greg, who works for BBC sport, to do the filming and between them they soon turned Angus's lounge into a film studio to film the interview and take photographs. It was lovely to remember Faith Yeaman who sadly died about 4 years ago but photos of her around the house reminded us of the contribution both Faith and Angus had made to the society over many years; they both served as chairman during their time with the society from the early 70's. 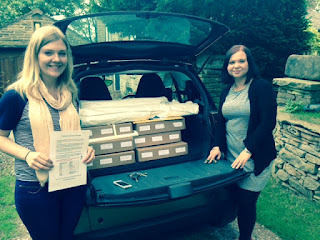 It is evident that Hayley and Sophie have spent much time and effort in sorting out our archive documents. The documents are now collated and preserved for the future and will be made available to the public for research and general interest. We look forward to receiving a copy of the video which will be made available to the public on our website and on loan to members and friends. The Society's next speaker meeting will take place from 4.00pm - 5.00pm on Tuesday 28thth July in Marple Library - there is a lift available. When the Industrial Revolution began, there was an increasing need to transport raw materials and products. Roads were poor, and the only vehicles small and inefficient. Canals developed as standardised waterways used by modular boats which could shift 10 times as much as a horse and cart. This talk tells the story of development of the Peak Forest Canal, and its later branch the Macclesfield Canal, remarkable early civil engineering projects. This is an open meeting and all members of the public are welcome so bring your family, friends and neighbours - you will be most welcome - there is no charge for the meeting. The Marple 150 Festival celebrated 150 years of transport in Marple from the time of the arrival of the first train to Marple Station in 1865. The organisers did a splendid job in arranging many events including exhibitions, talks, walks, music, the unveiling of a commemorative plaque at Marple Station and a Retro Rail tour to Carlisle. Congratulations to The Friends of Marple Station (FoMS) who arranged and hosted events at the station. One such event, the brainchild of Chris Taylor, welcomed Matthew Pritchard, grandson of Dame Agatha Christie, to unveil a 'Miss Marple' plaque and briefly talk about his grandmother and the origins of 'Miss Marple'. From a hand written letter by Agatha Christie it is clear she took the name for her now famous detective from Marple Hall. The plaque, together with 10 huge book cover posters commissioned by HarperCollins Publishers, will be permanent features at the station and no doubt attract many visitors to Marple. The six day 150 Festival event culminated in the Locks Festival in Marple Memorial Park. 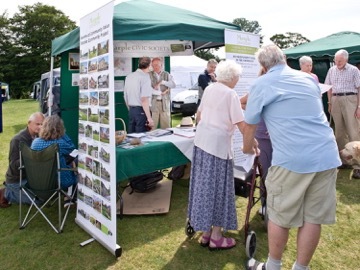 The civic society were delighted to support this event and had a display tent there all day. Many members helped on the stand and explained the society's main current activities: Urban Design Study for Marple (work in progress) Marple Neighbourhood Plan (preparatory work ongoing) and listing of Assets of Community Value (ACV) to the many society members and members of the public who visited the stand. Allison and Malcom Allcard retired from the festival this year. They were the driving force in setting up The Marple Locks Heritage Society and have organised the Marple Locks Heritage Festival since 2004. 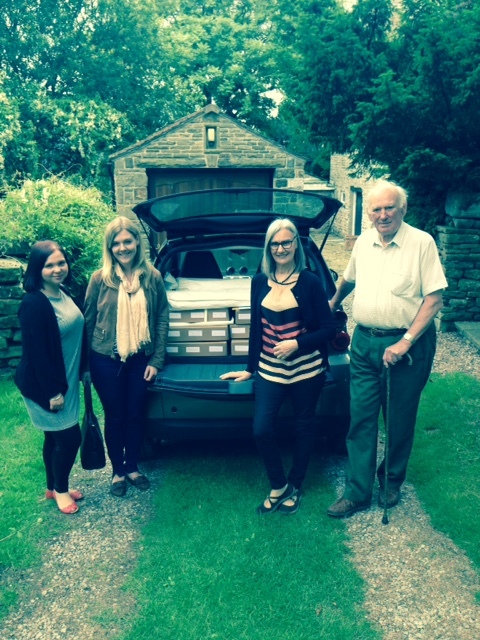 Marple Civic Society (MCS) is hugely grateful to them for their work and wish them a long and happy retirement. Committee chair Cllr. Ingham responded to a question from the Civic Society at the June meeting regarding greater involvement of residents by announcing an "extraordinary committee meeting" to take place in September/ October to identify key issues. Local groups and Marple residents will be invited to attend and contribute ideas.